When I was little, I saw drinking coffee as an adult thing to do. That grown ups needed this magic elixir to get moving in the mornings. As a kid anything, coffee flavour was gross. Oh, have times changed now. Now is the time for us to have a bit of fun again with our cup of morning brew. 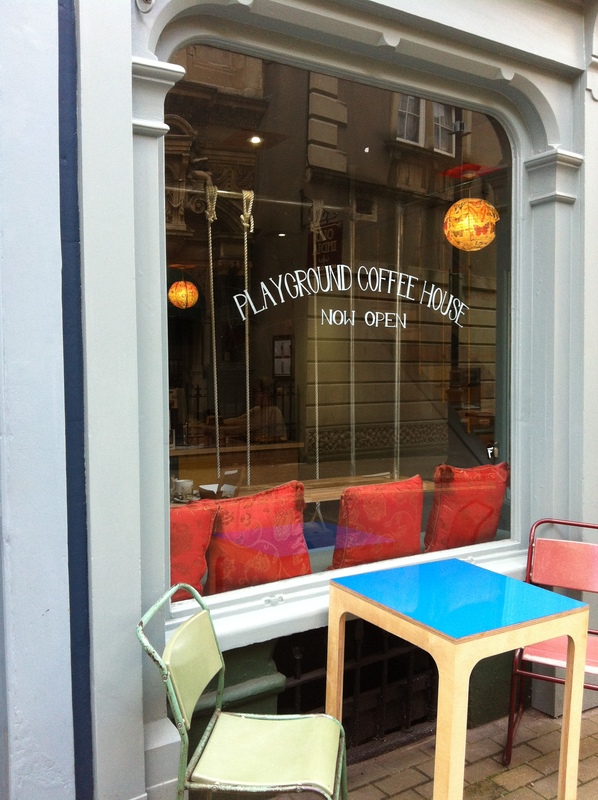 Playground Coffee House in Bristol is exactly that. Fun. I mean really fun. There’re swings. Inside. 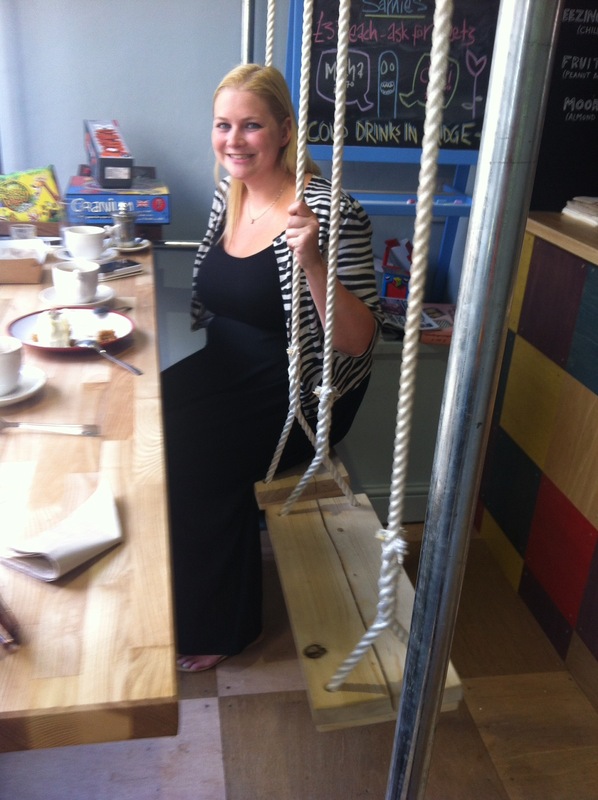 Yep swings to sit on while you sip on your coffee. And games. Marvellous board games. 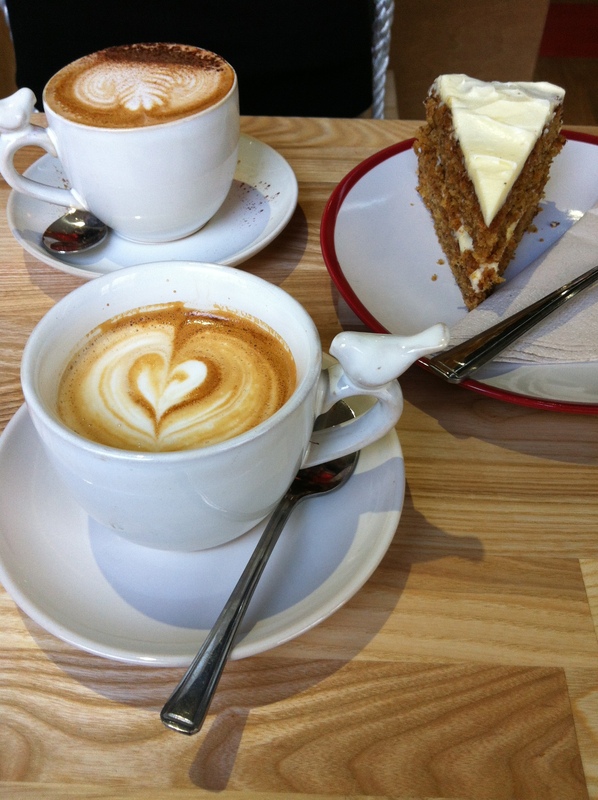 I met my friend for a coffee and a gossip of fall off lands over one of their delicious flat whites and a healthy slab of carrot cake. I mean how cute are those bird cups. I feel like Snow White when drinking from them. Now I just need to find my seven dwarfs! 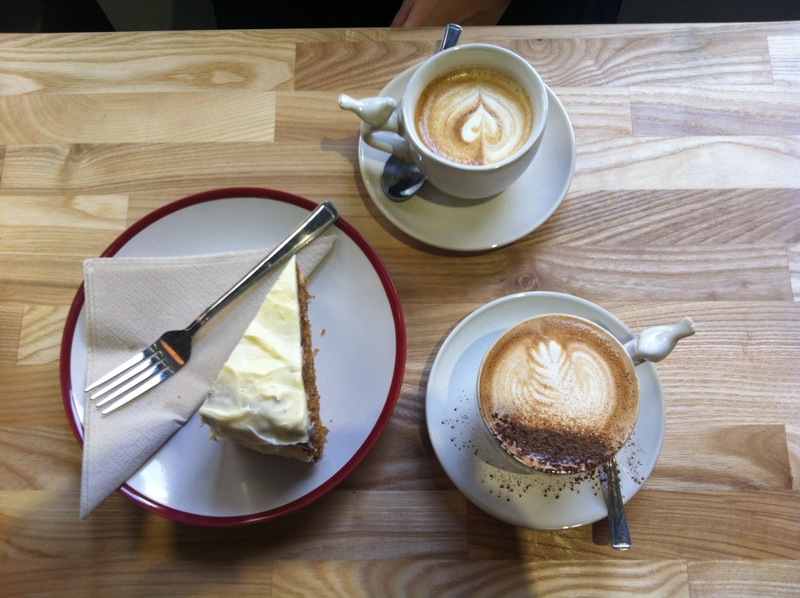 The coffee was rich and velvety, exactly the pick me up I needed after a slightly heavy night before. And being the good girls that we are, sharing the moist cinnamon-laced carrot cake until there were no crumbs left. 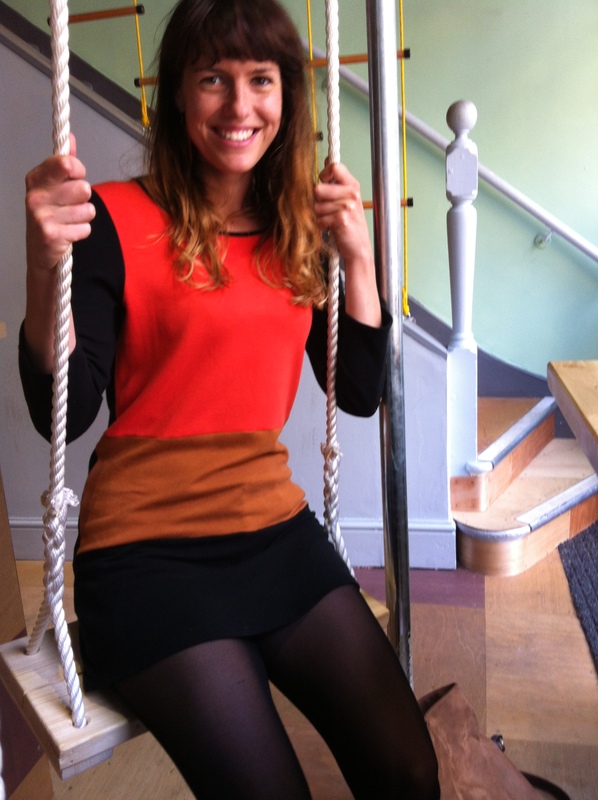 This is my super lovely friend testing out the swings whilst we were sipping on our coffees. Look at that big smile! Of course, I had to have a swing as well and I had a matching big smile on my face! 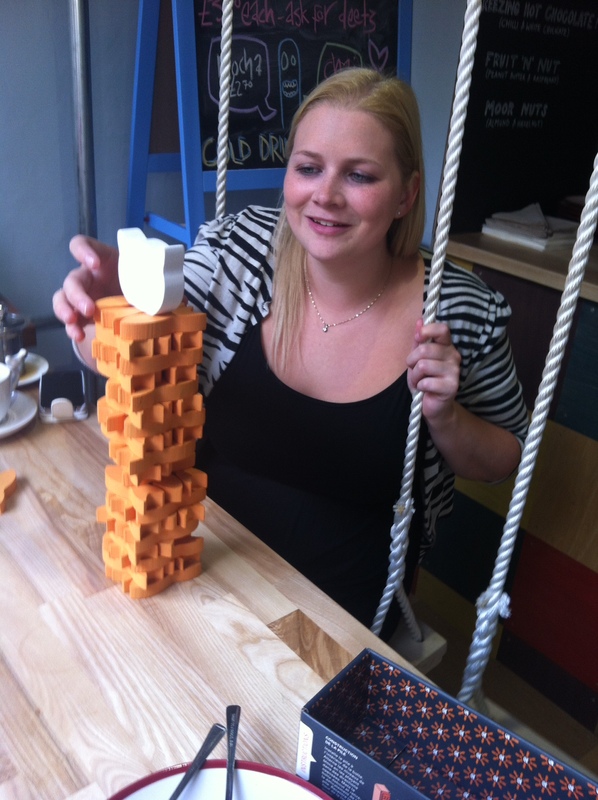 What is hard although is playing a fish/cat version of Jenga on a swing when balance and nerves of steel are called for to take down the (slightly cheating) opponent! I mean that looks terrifying! 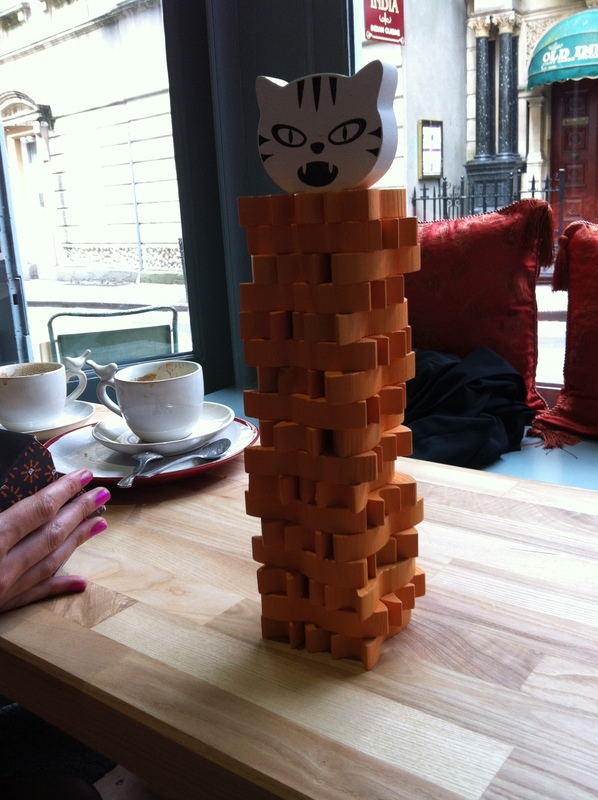 The cat of the tower judges your clumsiness!! 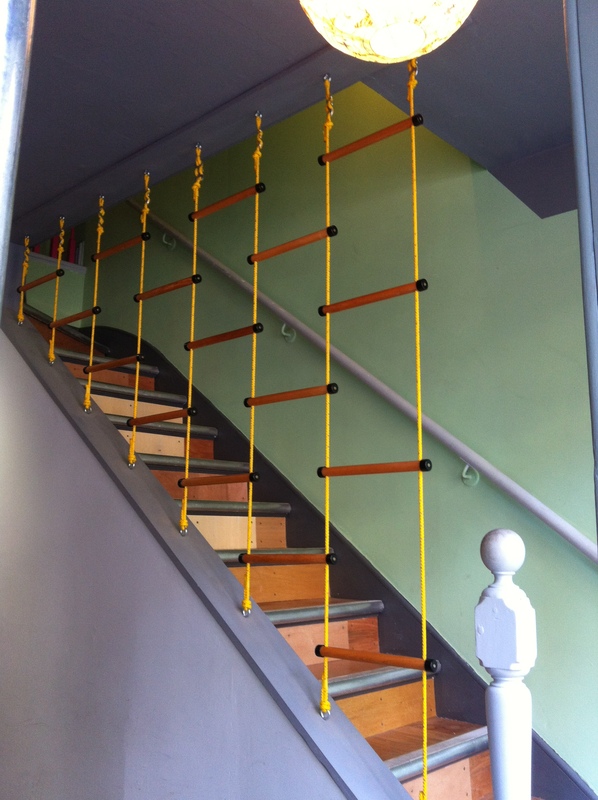 Scamper down to The Playground Coffee House, pulls up a swing and a board game, sink into a big mug of coffee and leave with a big grin on your face.